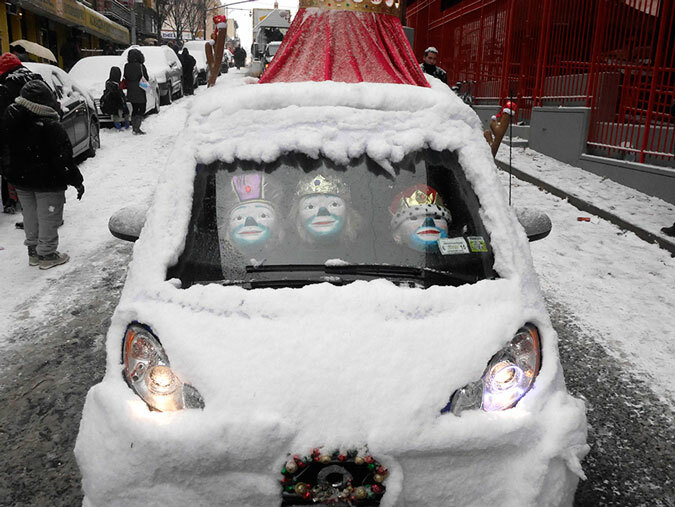 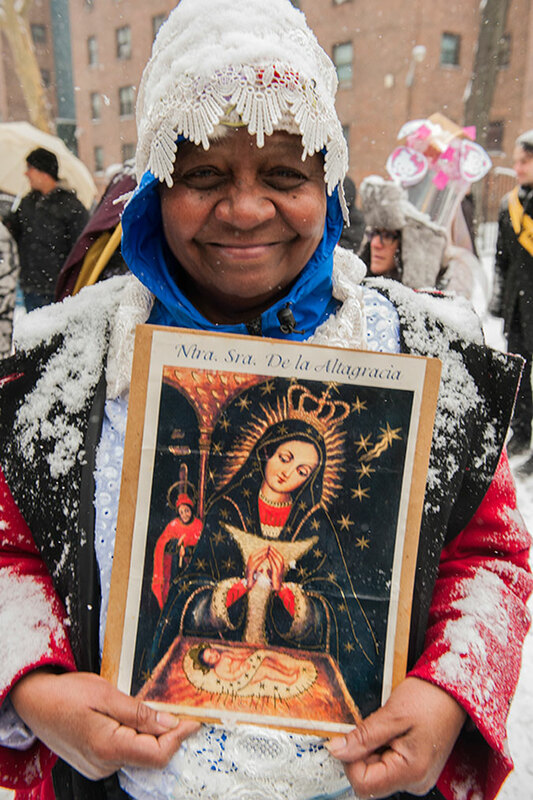 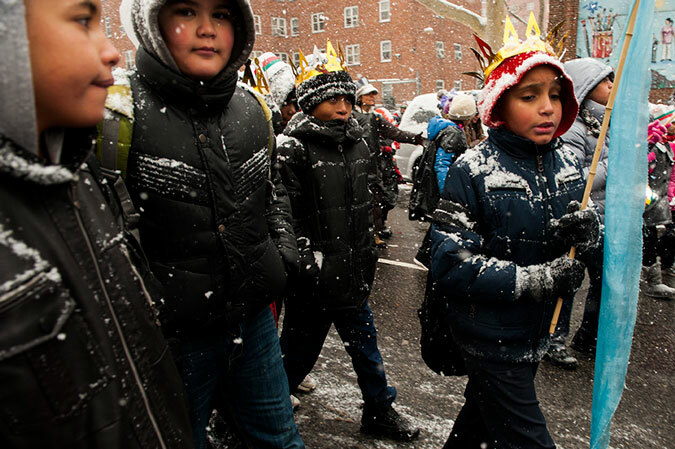 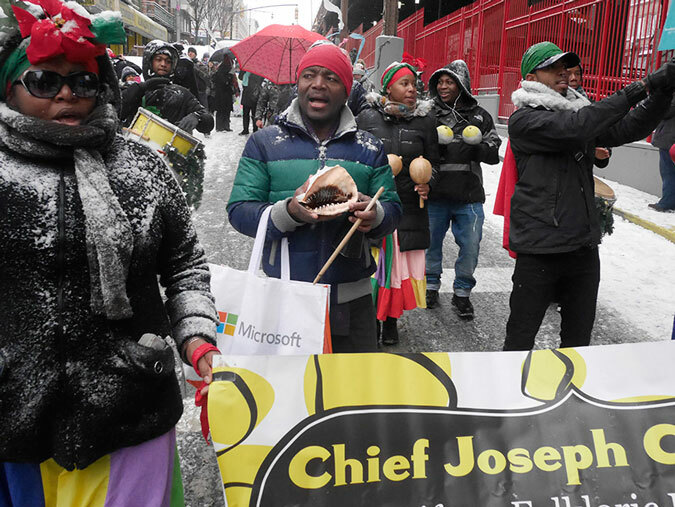 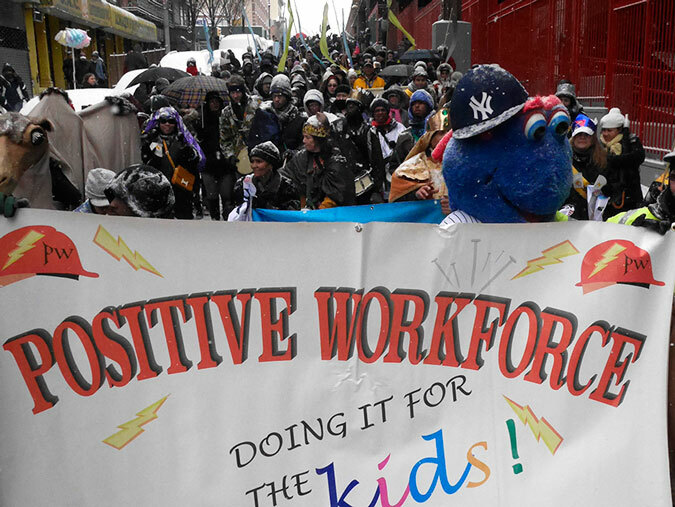 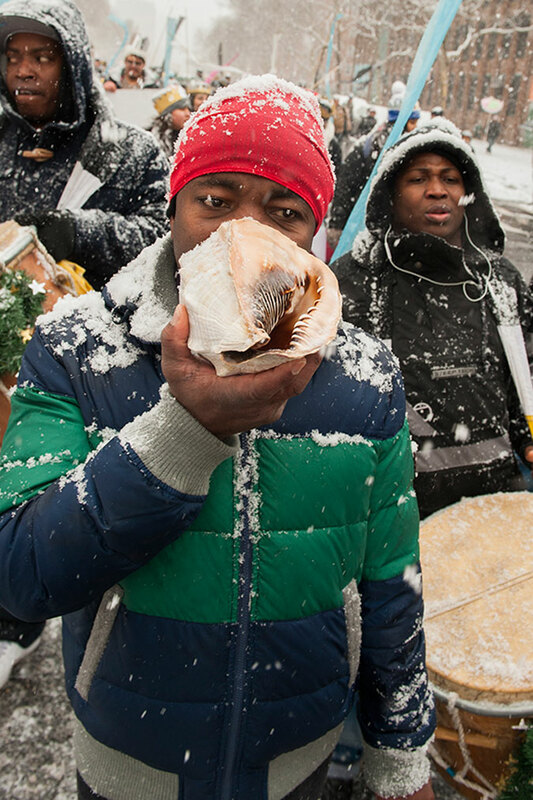 New York City’s 38th annual Three Kings Day Parade kicked off in Spanish Harlem on January 6th, the last day of Christmas. 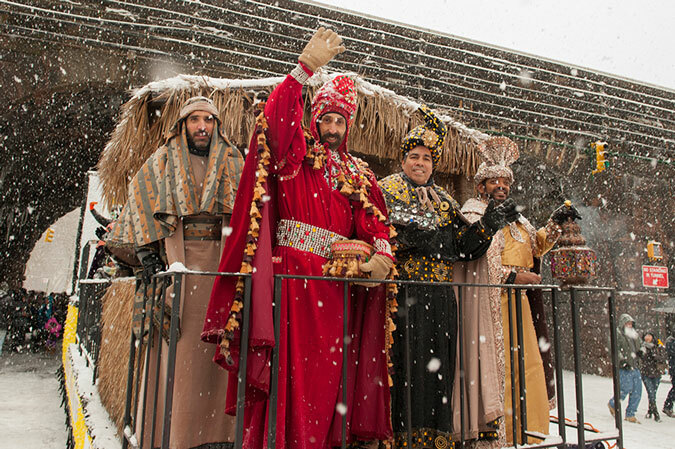 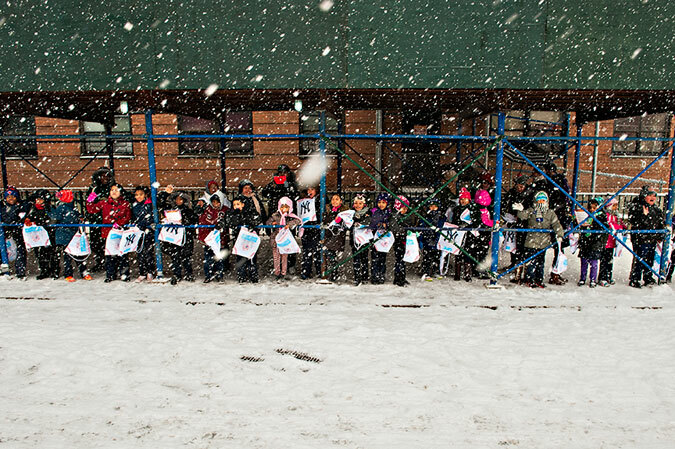 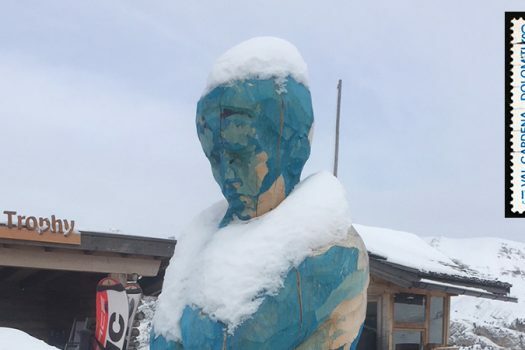 Snow flakes filled the morning air, and smiling children were excited to see the three magi and the first snow of the winter. 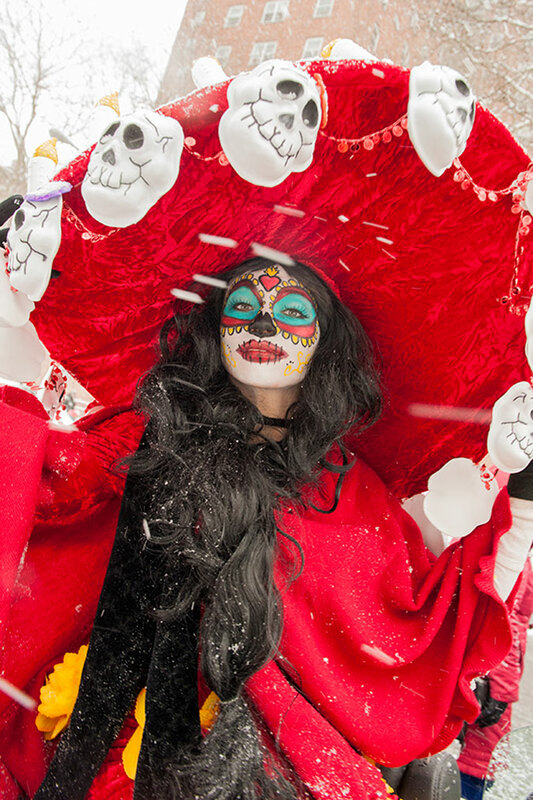 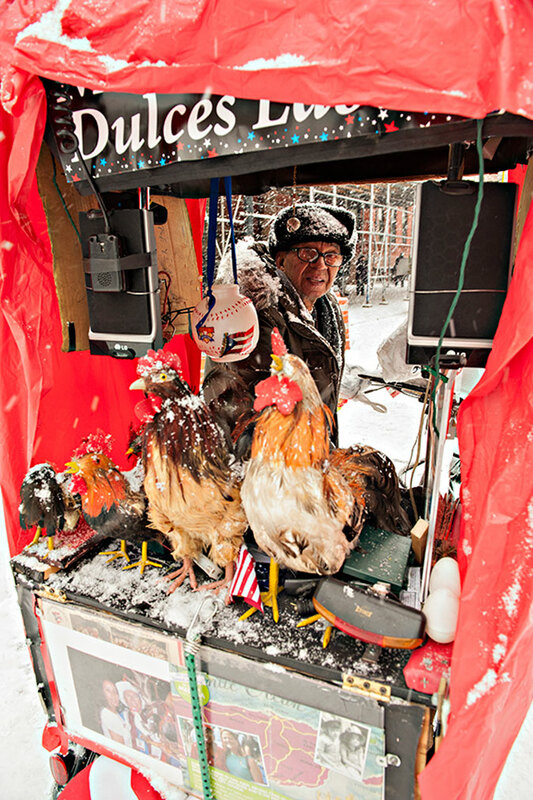 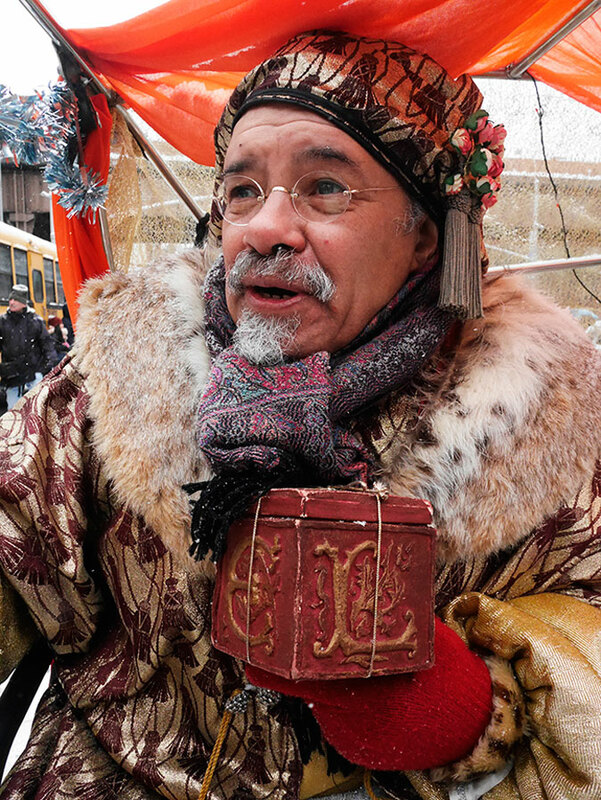 This year, parade sponsor El Museo del Barrio celebrated Jack Agueros (1934-2014) — founder of the Three Kings Parade and former director of El Museo del Barrio — with colorful puppets, parrandas, and dancing children who wore majestic crowns. 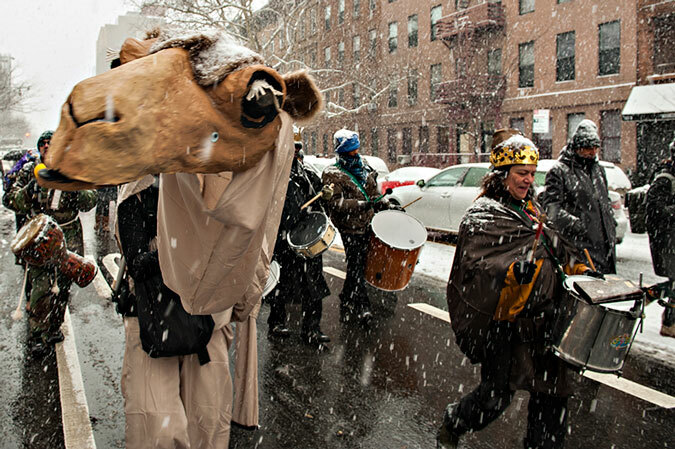 Live camels viewed the parade from their trailer due to the white stuff blowing in the wind.